When defining the direction of the design, Becky Spector of Becky Spector Interiors, said, it quickly became clear that comfort and practicality were as important as the aesthetics. 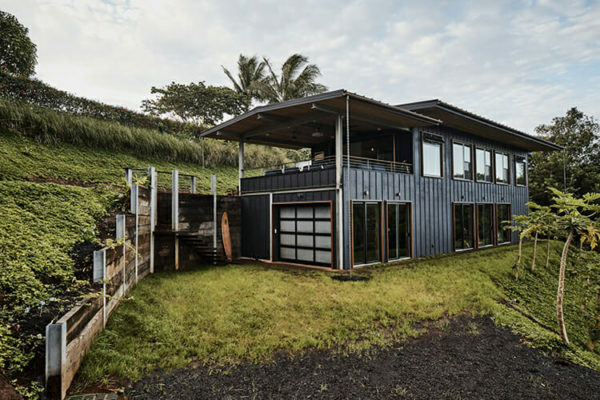 The pool house was formerly a stand-alone garage that was not being used efficiently. The location of the structure is separate from the house and adjacent to the pool, making it the perfect spot to create a pool house that could occasionally serve as guest quarters. 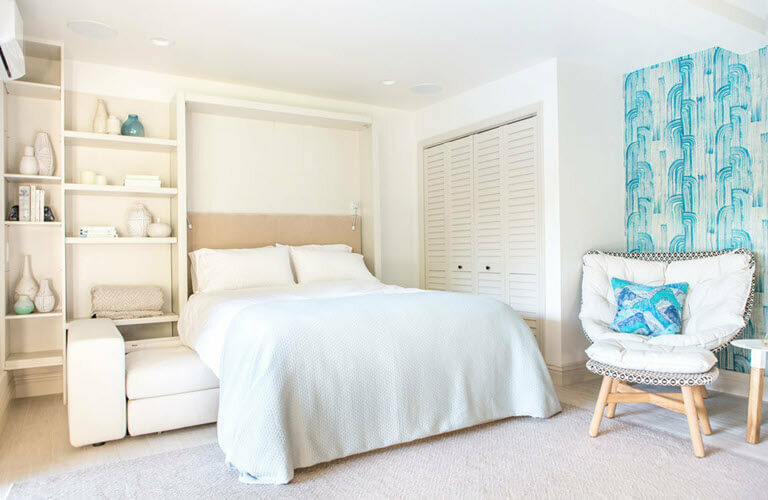 Sunny Southern California weather allows the family to use the pool house throughout the year while quickly and easily converting to luxurious private guest quarters when friends or family arrive from out of town, thanks to the Tango sofa wall bed. On an everyday basis, the sofa provides a comfortable spot to sit and watch sports while the kids run back and forth from the pool. 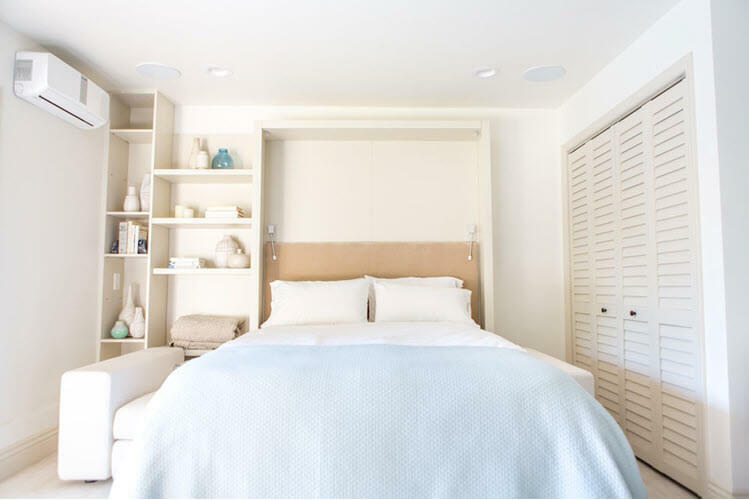 When overnight guests arrive, one pull of the wall bed shelf reveals a comfortable queen size bed equipped with a headboard and reading lights. The bathroom and closets complete the private getaway experience. By blending the indoors with the outdoors, the pool house has a very light and airy feel. The base color palette is that of driftwood with the waterfall-like gesture of the Kelly Wearstler wallpaper that serves as large-scale art in the seating nook. 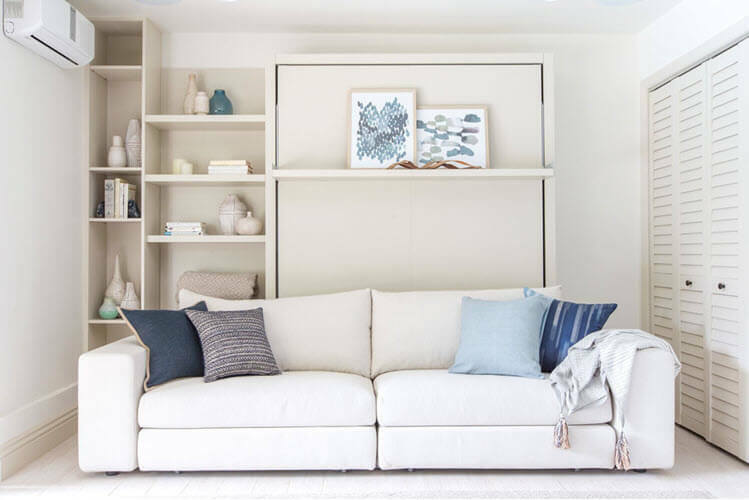 In keeping with the low-maintenance theme, Spector chose a custom Perennials indoor/outdoor fabric for the sofa which can stand up to wet bathing suits and ice cream drips with no problem. The flooring is equally low-maintenance: A wood plank-look porcelain tile from Complete Tile covers the floor and seamlessly continues into the bathroom. An outdoor chair from Dedon is a super-cozy spot for curling up with a book! This family also owns small downtown Manhattan apartment which was purchased before marriage and children. They use it several times a year for family getaways to New York City. 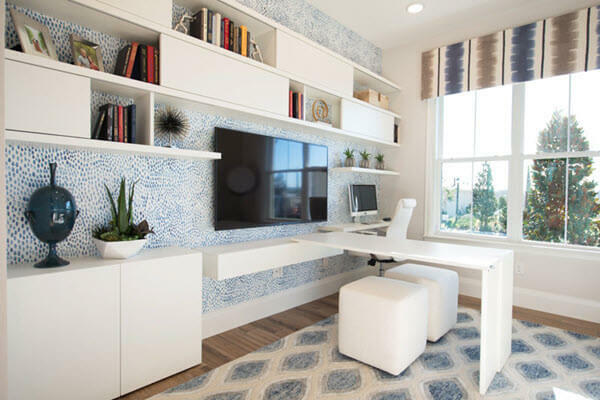 The apartment is a one-bedroom residence and when the kids reached the age of needing their own beds, Becky Spector knew the small entryway needed twin bed wall system with a desk on the front. The footprint is very small even when open, so it fit the bill perfectly, said Spector. So when the need for a multi-use space presented itself in their Santa Monica home, I knew just where to turn. Smart design can be executed anywhere. 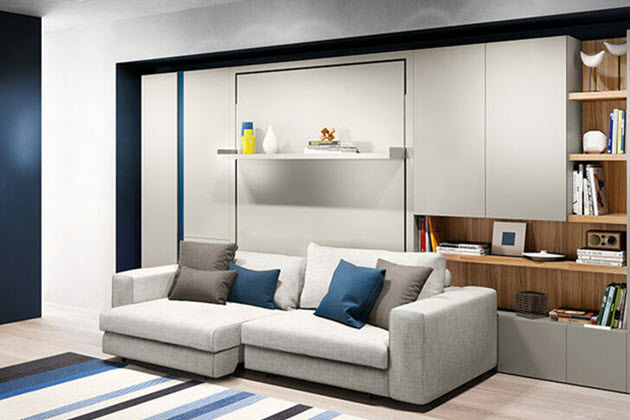 I love dual-purpose furniture and it’s fun to consider how one piece can be used in another capacity based on need. Resource Furniture has mastered this concept. Downsizing. It is an idealistic word for anyone that has more space than they need. 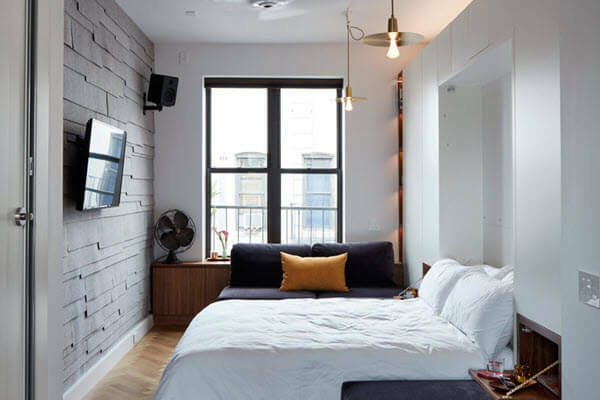 Graham Hill's second LifeEdited apartment is 350-square feet and features transforming furniture to make the space more flexible.